It takes us to the exploration of the nicest part of the Cordillera Real, across the sumptuous landscapes mountain ranges of Condoriri (el. 5648 m.a.s.l. ), Maria Lloco (el. 5522 m.a.s.l.) 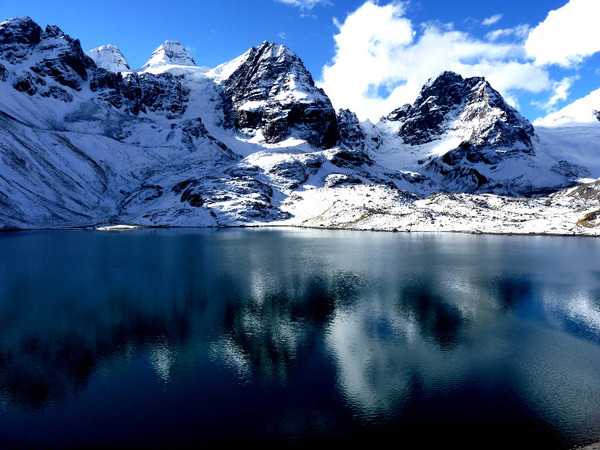 and Huayna Potosi (el. 6088 m.a.s.l.). 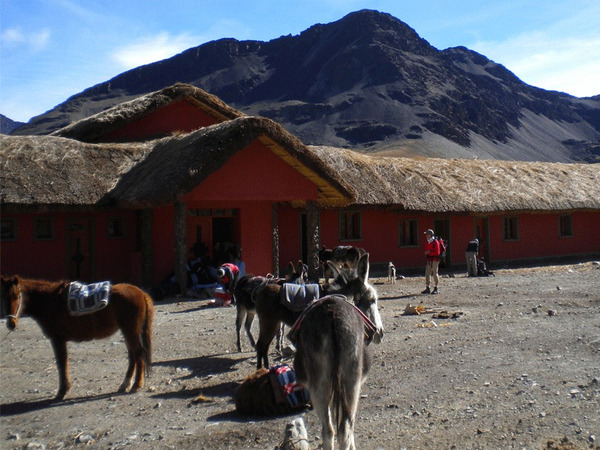 The path following the hillsides is dotted with lagunas where the llamas accompanying us on this short Andean crossing will quench their thirst. 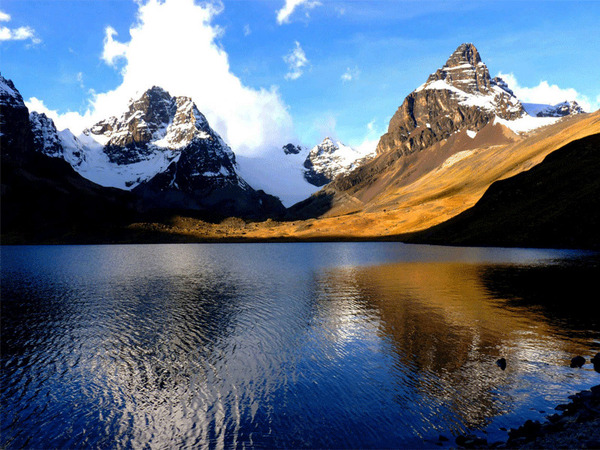 Nothing can be better than to finish our adventure by the ascent of Huayna Potosi. 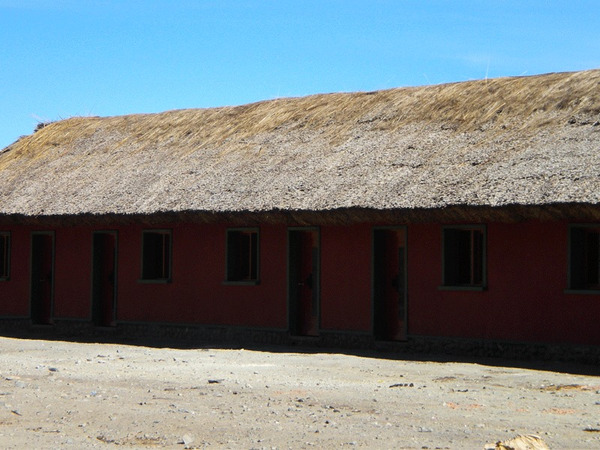 From the summit, the view embraces the altiplano from La Paz to Lake Titicaca. 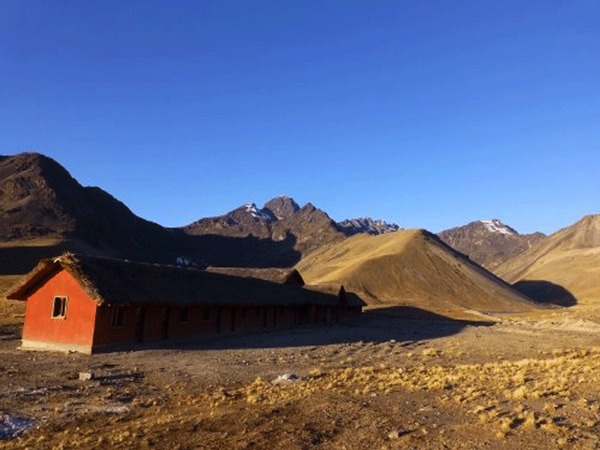 Difficulty: altitude trek with one or more passes of elevations superior to 5000 meters, each day. 4 to 6-hour walk a day. Good physical condition required. Departure from the hotel at 8:30 a.m. in our private vehicle in the direction of the Cordillera Real (a 3-hour trip) and of laguna Kothia, the start of our trek (el. 4470 m.a.s.l.). 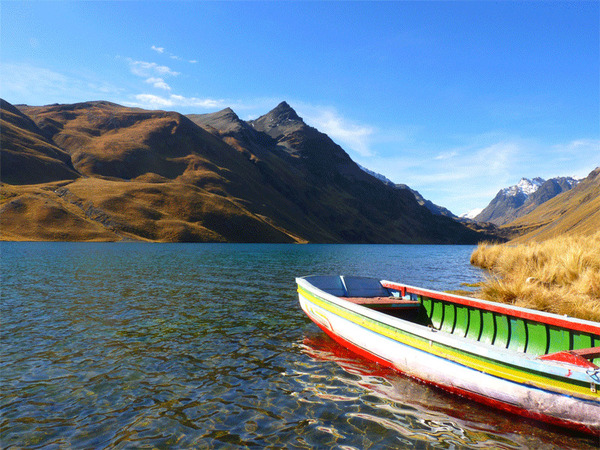 We meet our team of muleteers and start hiking on the right side of the lake, on the Southwest slopes of the Cordillera. We clear the first pass (Paso Contador, el. 4760 m.a.s.l.) before crossing a swampy area, near laguna Surakhota. Alter about a 4-hour walk, we arrive at the laguna Ajwani (“lagoon of the birds”, el. 4720 m.a.s.l.). 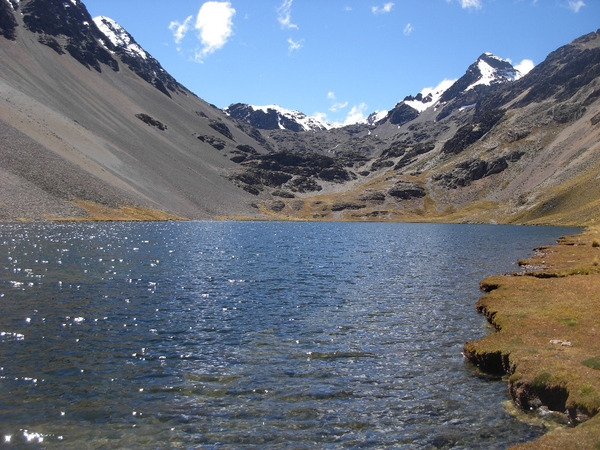 We start by following the hillside, clear a first pass at an altitude of 4920 meters (Paso Milluni / 1h45), then we take our time to reach laguna Sistaña (el. 4660 m.a.s.l. / 45mn). In the afternoon we ascend to a second pass (Paso Janchallani, el. 4900 m.a.s.l. / 1h30), before our last descent of the day towards Laguna Jurikhota (el. 4700 m.a.s.l. / 1h). From Laguna Jurikhota we begin by ascending up a steep slope to reach, an hour and a half later, the Laguna Congelada, (two glaciers literally fall into its icy waters), a jewel nested at an altitude of 4900 meters at the foot of El Condoriri (el. 5650 m.a.s.l.). From there we keep climbing to a second pass (Paso Austria, 5120 m.a.s.l. / one hour ascent) before descending on the other side towards El Condoriri and El Pequeño Alpamayo base camp, at the edge of Laguna Chiarkhota (el. 4670 m.a.s.l. / 1h30 descent). We leave the Condoriri behind us, pass at the base of the Black Needle and eventually reach the Jallayko Pass (el. 5025 m.a.s.l.). We then drop into the very beautiful and steep Jistaña Valley, before ascending the Tillipata Pass (el. 5000 m.a.s.l.). 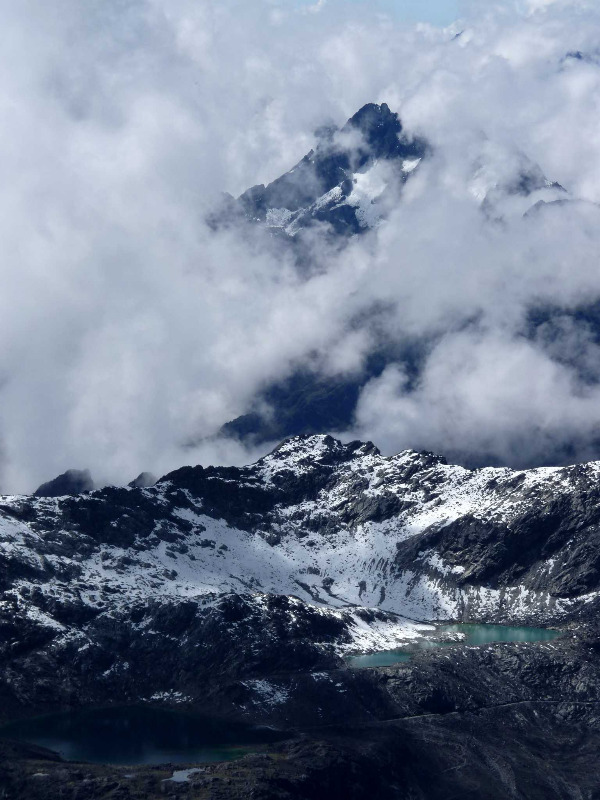 The spectacular scenery over the myriad of lagunas down below is ample reward for our efforts. Then another downhill to Laguna Wichu Khota, where we set up our camp, at the foot of María Lloco (el. 5522 m.a.s.l.). We progress amongst the lagunas, until the ancient camp for mine Santa Fe. 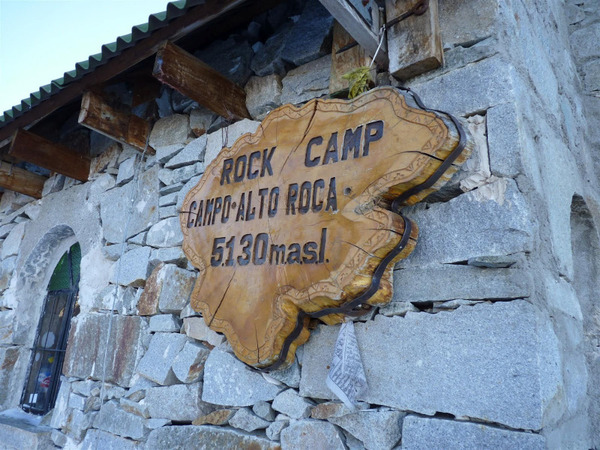 A short detour to a small nearby summit dominating the camp allows us to get a nice view over all the lagunas. 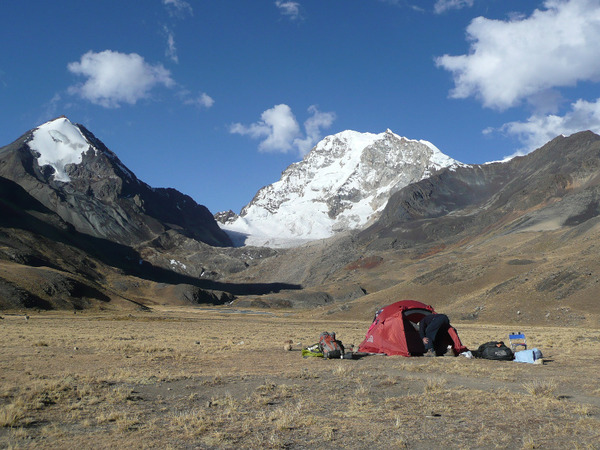 We then climb up to our camp, surrounded by the summits of Imilla Apachita, Maria Lloco and Huayna Potosi (el. 6088 m.a.s.l.). The view is superb (4/5-walk). 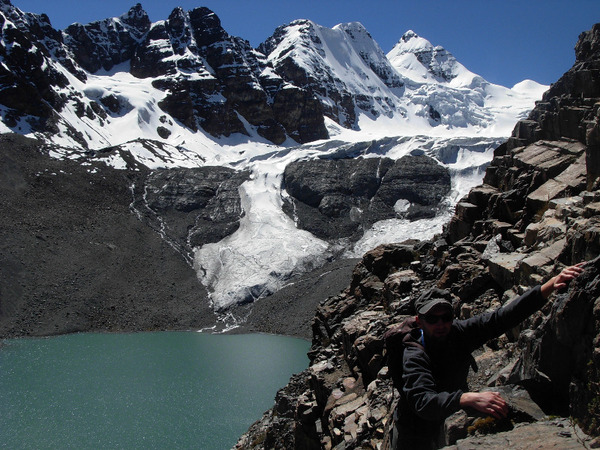 The most courageous will be able to hike over to Laguna Glacial del Huayna Potosi. The trail, an ancient dried out stone canal on the hillside, offers wonderful scenery (2-hour round trip). 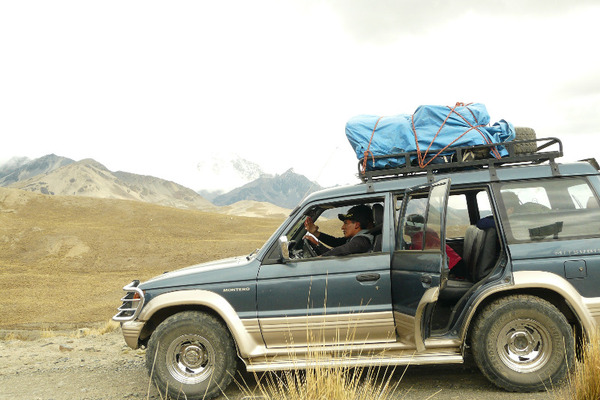 After loading the gear on our llamas, we head for the Milluni pass that we reach in the middle of the morning (el. 5000 m.a.s.l). From there, we overlook the Milluni Valley. 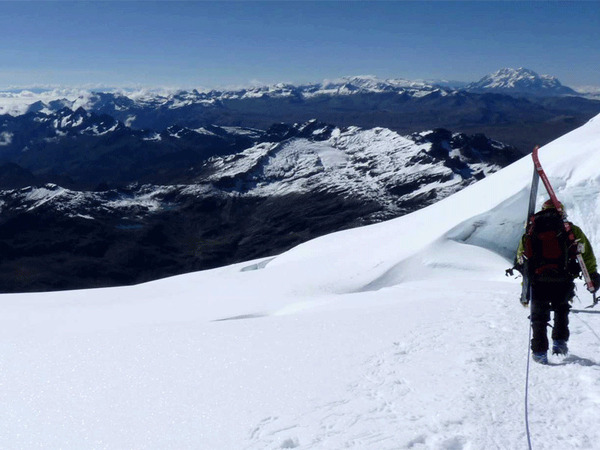 We keep on going towards our shelter by passing Huayna Potosi on our left. At this point the Andes abruptly drop into the Yungas, a green and tropical area. This is the end of our trek. Ascent to the “Rocks camp” (el. 5100 m.a.s.l.). Approximately a 2-hour walk. Note: team of porters for the 2-day ascent. Departure at 2 a.m. for a tentative ascent of the summit. Later on, we descend to the shelter (approximately 10-hour total).